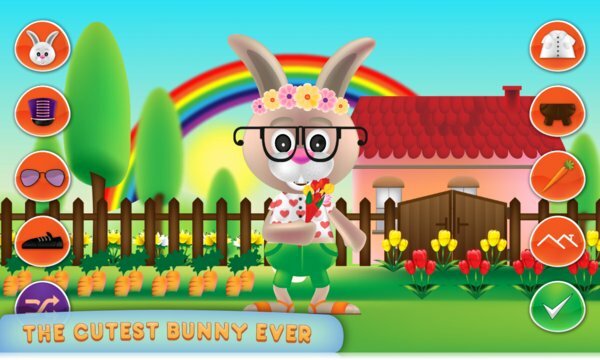 BUNNY game is one of those “dress up games for kids” that hops from one Windows Phone to another. 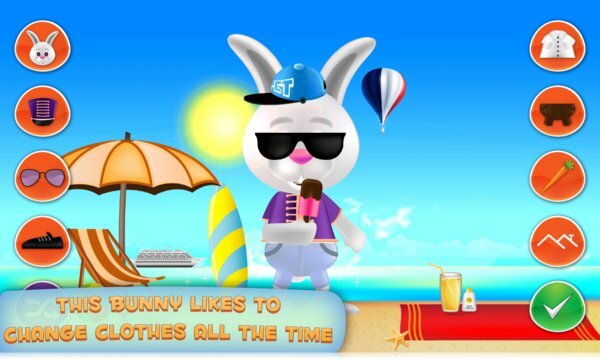 Bunny Dress up game is now at your door, download free app and let honey bunny in! This is not a usual bunny game. It is so cute and sweet that will make your blood sugar rise rapidly. Plus, it is not a standard pet game with either a cat or a dog; instead, it features this unusual bunny pet. This is a new dress up game for girls in town and you should follow the latest trends and fashion and enjoy the game. Dress up Bunny and you and him will feel funny! Bunny Mania has started and no one can resist not being part of it. And when we say no one, we mean toddlers, kids and adults – because this animal game is one of those addicting games. What’s up doc, are you confused? Download free dress up game and try it! This is a game for girls and on the other hand a game for boys. Gals will love this app because it is an animal care game, and because it’s pretty and with a lot of different costumes. Once a girl dresses up the bunny, she can imagine hopping with him to a salon or parlor. Either way both will enjoy this free rabbit game, because it is irresistible as it is a kids dress up game.